2 - Select a appropriate-size Eraser to erase the text or images. 3 - Click Save button to save the result. 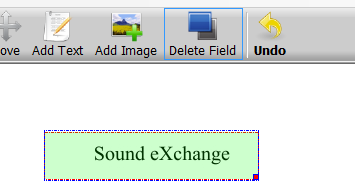 1 - Click on Add Text button and Draw a text area. 2 - Type your text and click OK button. 3 - You can click the Font and Color area to change the font and color. 1 - Click on Add Image button and click on the PDF page. 2 - Select an image file to add. 3 - You can drag the right bottom spot to resize the image. 1 - Open a PDF file in PDF Eraser. 2 - Click on the Delete Field Tool. 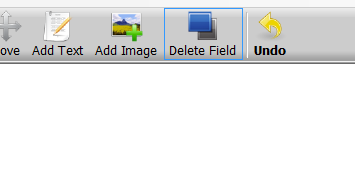 3 - Press your mouse left button and Draw a field to the text or content you want to remove. 4 - Click on the Save PDF button to save the PDF file. 5 - You will see the text permanently deleted from the PDF, no matter you convert it or check it in any reader programs. 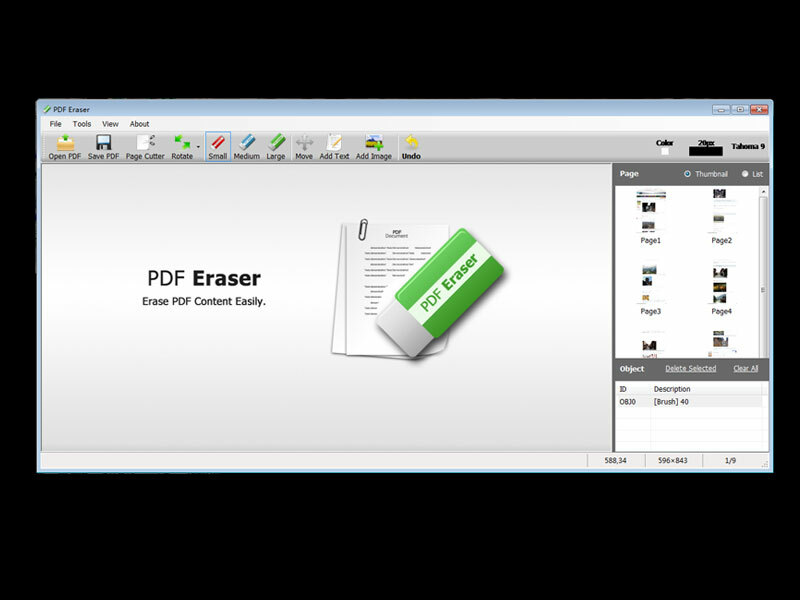 1 - Run PDF Eraser and click on Page Cutter. 2 - Click the big button, or drag and drop a PDF file onto it. 3 - Select pages you want to delete. You can drag on the list to select one more pages. 4 - Click Delete Selected button to delete pages. 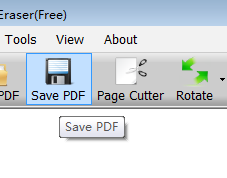 5 - Click Save button to Save the PDF.